Thank you to all schools and daycares who supported the Janeway on Valentine’s Day! 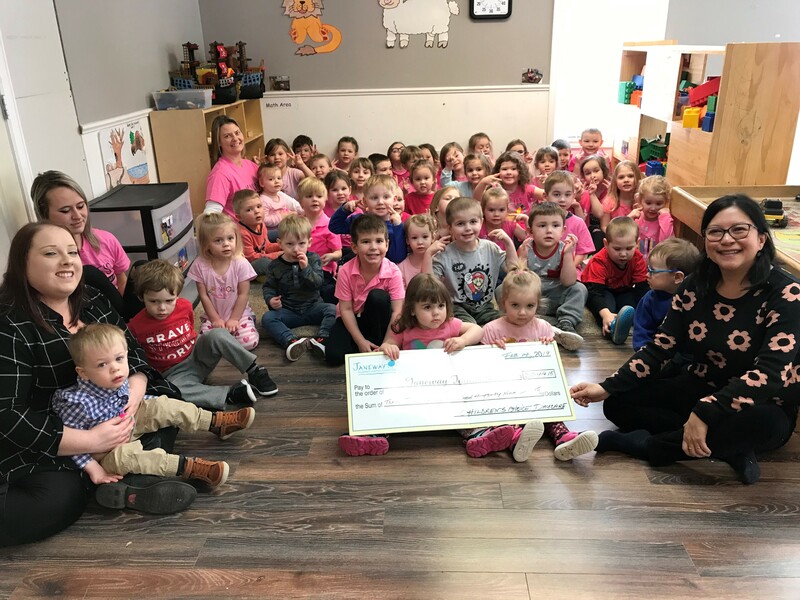 Children’s Choice Learning Centre in Conception Bay South collected $3,249 on their Daycare Dance-athon! Thank you to the children, their families and friends, and the great staff. NLTA Janeway Day in the Schools – Everything your school requires to participate is on the NLTA website. 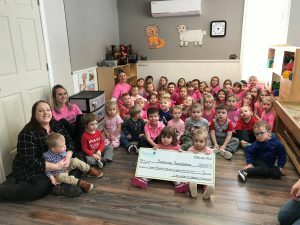 The Janeway Children’s Hospital Foundation invites daycares and child care centres to participate in the 20th Annual Kids Helping Kids Daycare Dance-athon. To register, download this form and submit to the Janeway Foundation.  Who can get involved? Everyone – the children, the staff and anyone else who would like to join in the fun.  What does it take? It takes 10 minutes of moving, grooving, and dancing up a storm!  When does the Daycare Dance-a-thon take place? On February 14 – a day meant for dancing, caring and sharing.  Where do we go to participate? Stay where you are and dance to the rhythm right in your centre.  Why should we consider participating in Daycare Dance-a-thon? Because our Janeway children need your help! Should you require any further information please contact me directly at 709-777-4264 or phyllis.kinsman@easternhealth.ca. 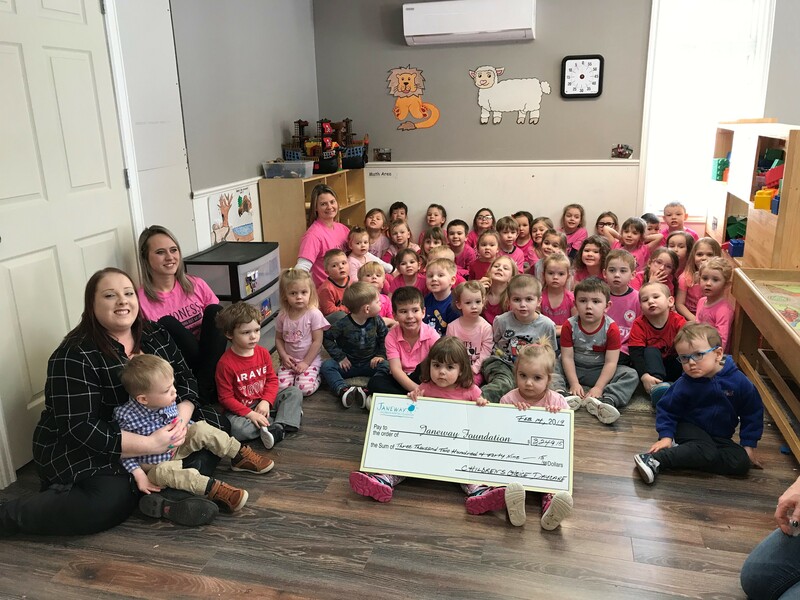 On behalf of the Janeway Children’s Health and Rehabilitation Centre, the Janeway Children’s Hospital Foundation and the many families that benefit from fundraising initiatives such as NLTA Day and Daycare Dance-athon, thank you for your support and consideration.